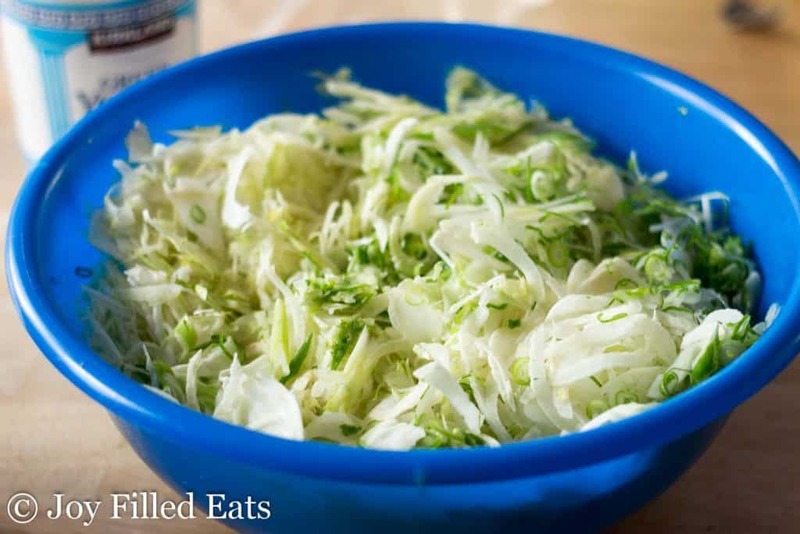 Adding fennel to coleslaw gives this simple side a boost of flavor. My Easy Coleslaw with Fennel will brighten up your summer picnic or barbecue. My husband’s family will snack on raw sliced fennel. They even call it by the Italian word for it, “finocchio.” I’m not a big fan of the flavor of black licorice but the mild flavor of it in raw fennel is refreshing. 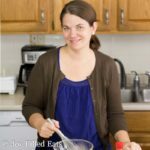 I started adding fennel to my coleslaw years ago when I tried this recipe from Food Network’s Melissa D’Arabian and have continued to do so ever since. One of my favorite uses for my food processor is shredded veggies. It’s hard to get them thin enough when slicing by hand. 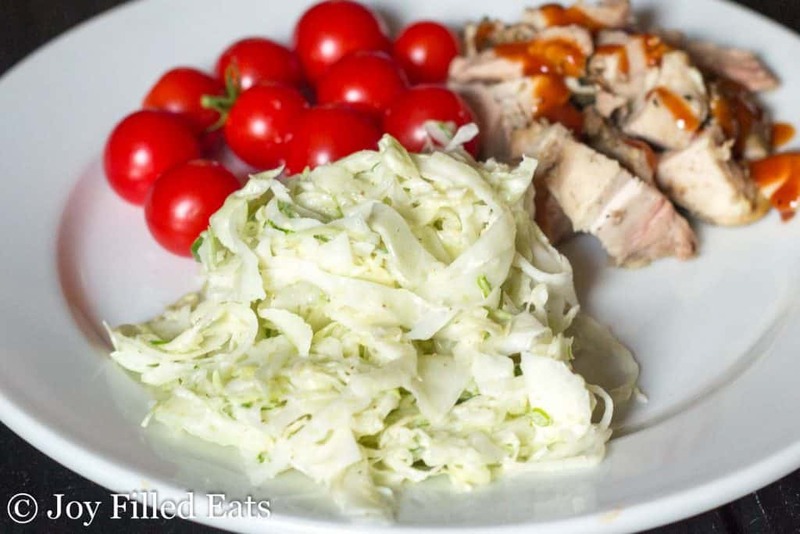 I like the cabbage and fennel very thin in coleslaw. I’ve had my Cuisinart Food Processor for about 10 years and it is still going strong. 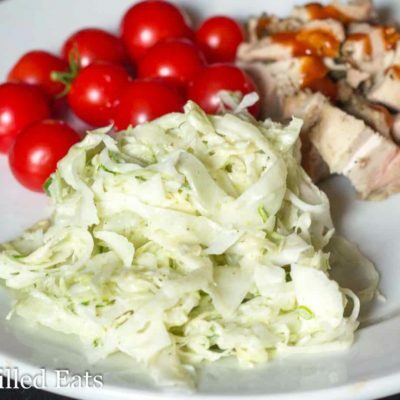 I’ve enjoyed this Easy Coleslaw with Fennel as a side dish and condiment. 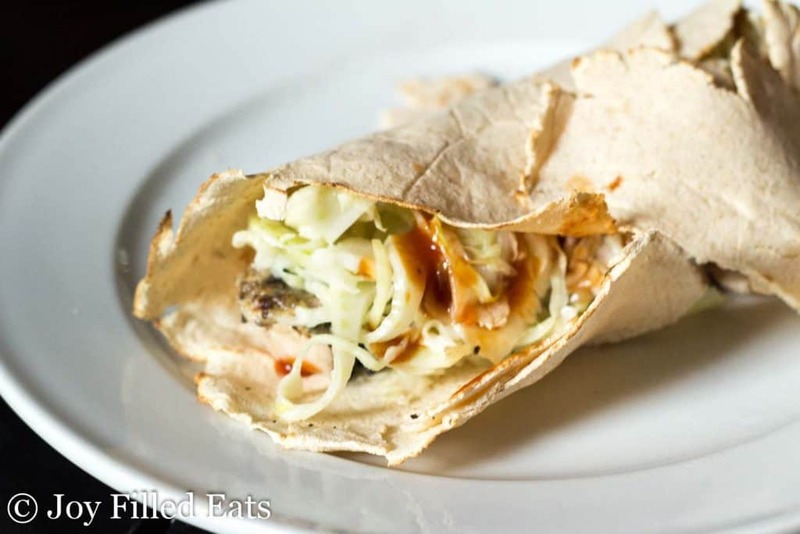 It is really good in low carb wraps with some bbq chicken or pork. The wrap shown above is a Coconut Flour Wrap from Lotsa Little Lambs. It is very easy to make coleslaw. It takes only a few simple ingredients and a few minutes to throw together this great side dish. First, you shred the cabbage and fennel. Then you slice the scallions. 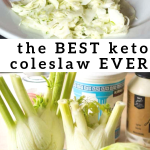 Mix with the coleslaw dressing and you have a side dish in minutes! 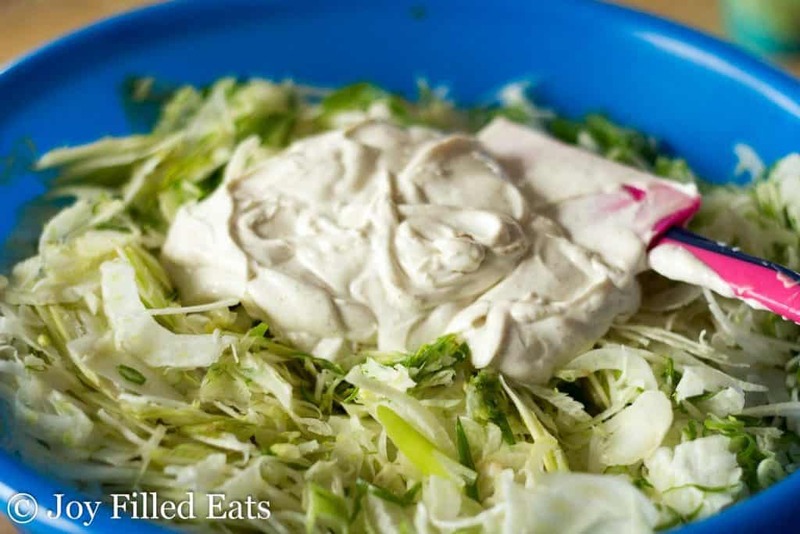 My coleslaw dressing is very simple. It is just mayo and Greek yogurt with salt and celery seed for flavor. Mix those 4 ingredients together and toss with the shredded vegetables. 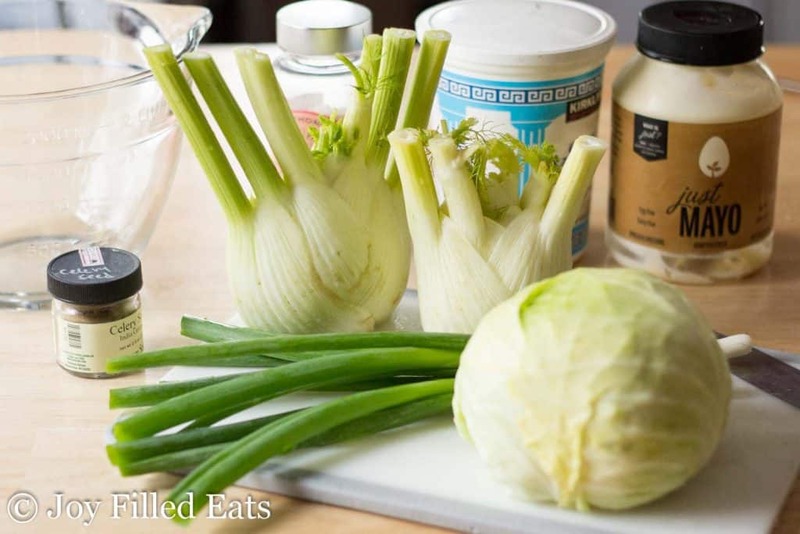 Stir together the cabbage, fennel, and scallions. Mix together the rest of the ingredients. Add to the vegetables and toss until covered.